Range Rovers are known for their luxury. Here at AutoPro Auto Service, we take great care in any servicing or repairs on your Range Rover because we know how much you have invested in this high quality vehicle. Our goal is for your Range Rover to leave our shop in the best condition possible. We are a NAPA AutoCare Center, and our ASE certified technician use only state of the art equipment on your vehicle. 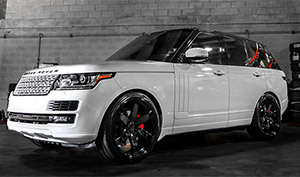 Bring your Range Rover to AutoPro so the job is done right and done the first time.